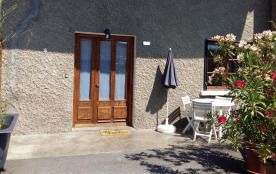 6/14 : Salle d'eau avec douche " à l'italienne"
In accordance with the city of Annecy, this rental has been registered under the number: 74010000094FR ?The City of Annecy has set up a procedure for registering furnished accommodation.. 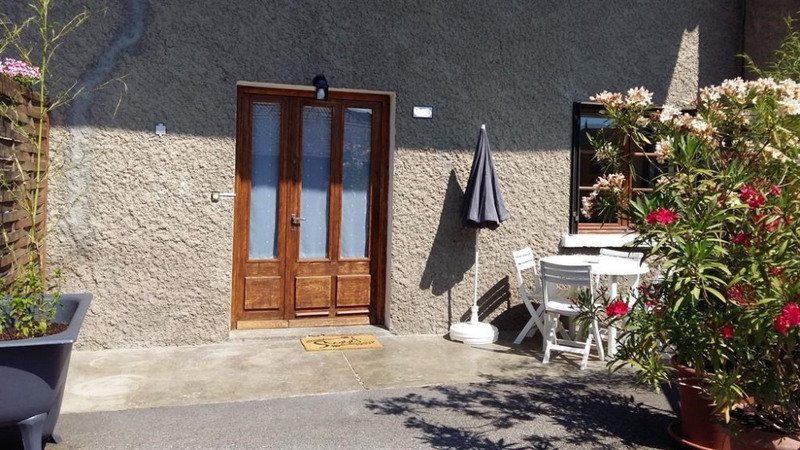 In the agglomeration of Grand Annecy in Promery, 7 km from the old Annecy and the lake (15 minutes), in a typical Haute Savoyard village with its castle, you will be seduced by the charm of this furnished apartment renovated in a new old farmhouse. Set back from the road, quiet (at the end of a dead end), it has a large courtyard for parking and a covered terrace. On one level, its area is 50m2, it has a fully equipped kitchen, a living room with sofa bed and television, a bathroom "to the Italian", a separate toilet and a large room (3m under ceiling), overlooking the greenery, with a double bed and 2 single beds. Of course, a WIFI connection is available throughout the accommodation. You will appreciate the comfort, calm and tranquility at the gates of the city. In the village 50m you will find a tobacconist (newspapers, bread) and a semi-gastronomic restaurant "Le Clos du Château". Also a bus stop. A 3km are all shops and supermarket "U", A41 motorway and hospital Annecy Genevois. .The accommodation is non-smoking and pets are not allowed. Location refaite à neuf, très fonctionnelle et bien équipée. Idéalement située dans un environnement calme. Accueil chaleureux et propriétaire disponible. Nous recommandons cette location et nous reviendrons avec grand plaisir. Accueil très agréable. Appartement propre fonctionnel et refait a neuf. Bien au calme mais a 15 minutes seulement du centre d Annecy en voiture.Bon rapport qualité prix.